Based on GMT, the composite GMTex has been further developed for applications demanding high impact resistance, strength and durability. In the production of these high-performance thermoplastic composites, the basic materials of polypropylene (PP), polyamide (PA) and thermoplastic polyester (TPP) are reinforced with woven and randomly laid fibers (multi-layer glass fiber technology). The outcome is innovative composites that, despite their low energy absorbency, display cross sections with outstanding mechanical properties such as rigidity. GMTex is moldable and serves as a substitute for steel, aluminum, magnesium etc., or is employed for the additional reinforcement of GMT materials. While classic GMT composite materials in the automotive industry are mainly used in semi-structural components (instrument panels, tail gates, seats etc. 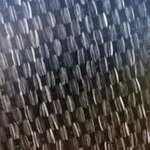 ), GMTex composites reinforced with fabrics and layered fibers are also conquering structural vehicle components, until now the preserve of metals (e.g. front ends and bumper brackets). Mitsubishi Chemical Advanced Materials Composites produces GMTex as semi-finished products with a maximum width of 1 m and thicknesses of 2.5 to 5 mm.